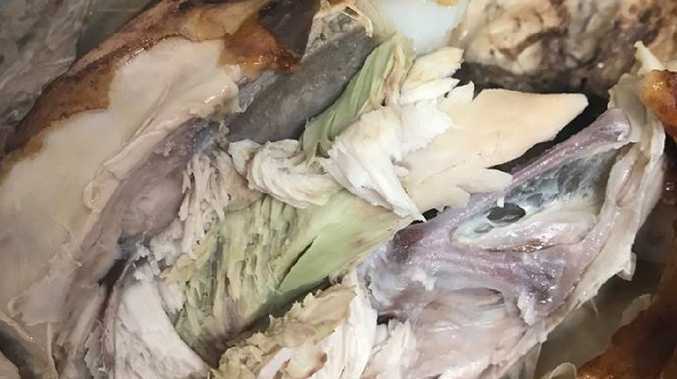 A WOMAN was left feeling disgusted after cutting into a Coles roast chicken to find the flesh inside was a sickly green colour - but the store claims it is still safe to eat. 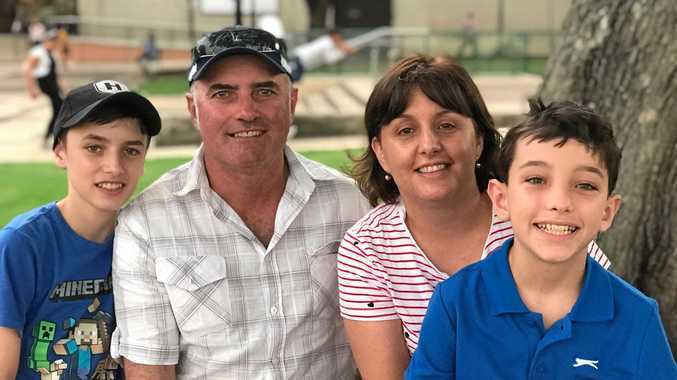 Kylie Mason, from Lithgow NSW, posted a picture of the chicken on the supermarket's Facebook page saying: "Thought I'll do a baked chook for dinner last night, unfortunately we couldn't eat it." But Coles responded saying there was an explanation for why the meat was discoloured and that it wasn't harmful to eat. "This looks like deep pectoral myopathy (DPM). Deep pectoral myopathy is a green discolouration of the flesh caused by swelling from oxygen deficiency in the muscle. This can occur if the bird flaps its wings too much," Coles responded. "If the chicken has been consumed, it is not harmful, but this is not how we want our chicken to reach you. "We have strict quality standards that our poultry partners work to and this chicken should not have been packed." The store offered Kylie a full refund and she later responded saying the situation had been "rectified".